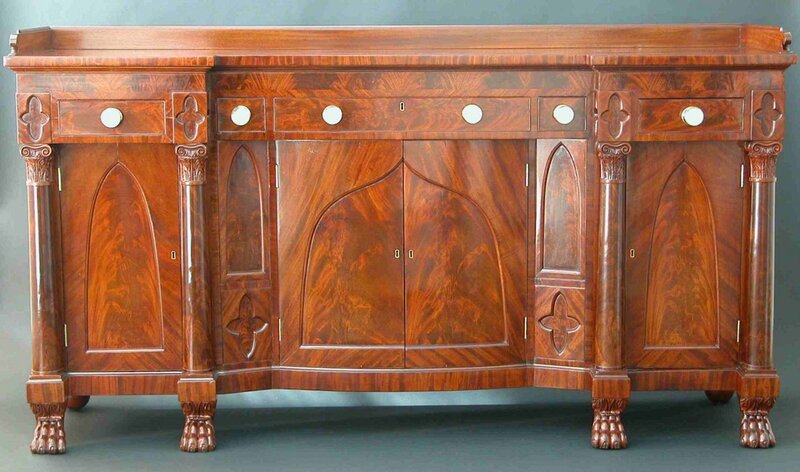 This superb mahogany sideboard is finely conceived with skillfully executed cabinetry work and superior matched crotch mahogany veneers. 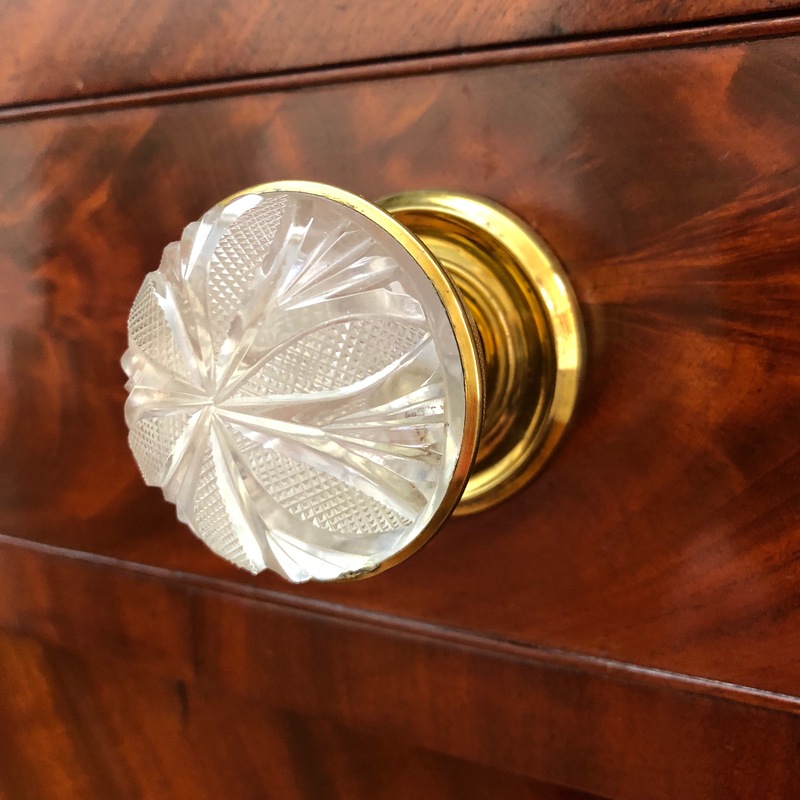 The drawer pulls are exceptional period cut glass knobs with lacquered brass back plates. 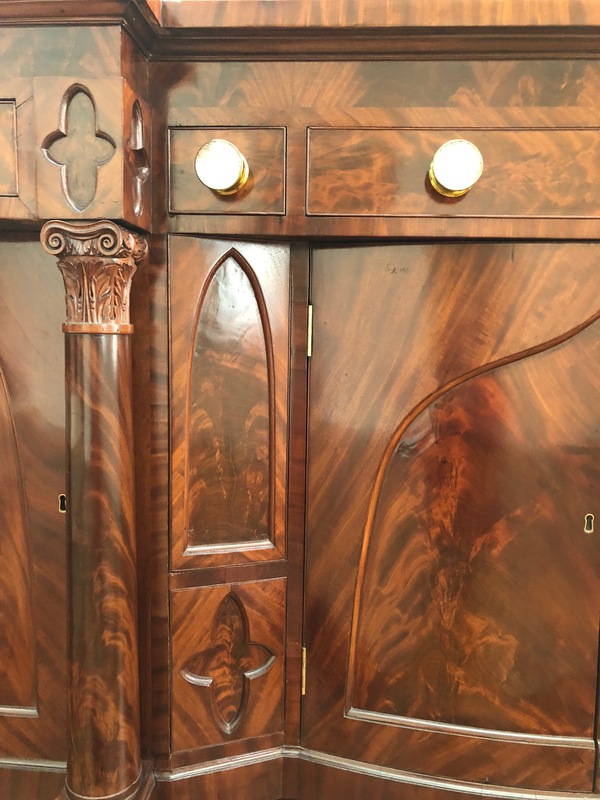 The popular gothic taste used in Classical furniture designs is shown here incorporating arches and quatrefoils. 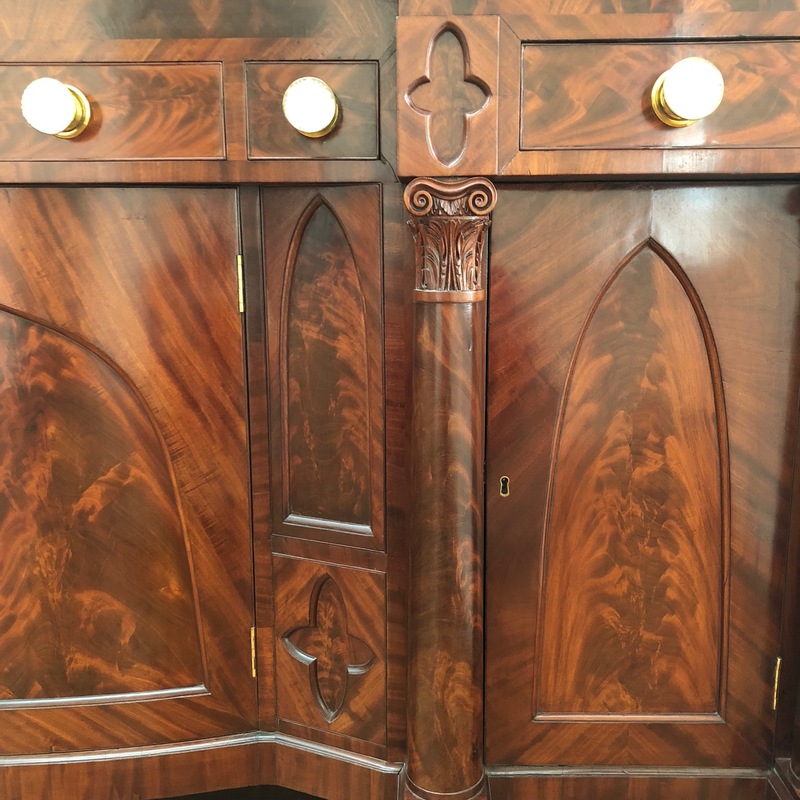 In the past, sideboards of similar design have been associated with the shop of William Camp and more recently with the shops of John Needles and Edward Priestly. 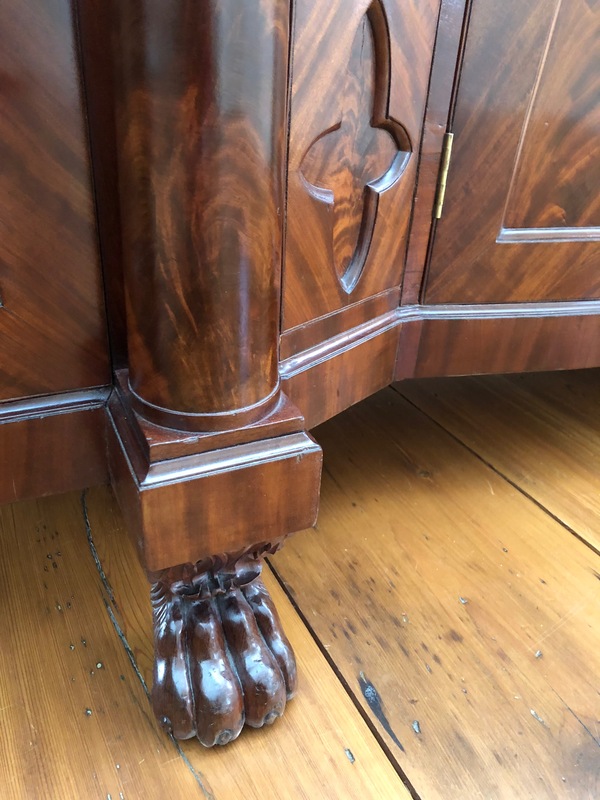 The attribution to the shop of John Needles is based on the many similarities to the labeled sideboard in the collection of the Maryland Historical Society. Elder, William V., III, and Jayne E. Stokes. American Furniture, 1680-1880, from the collection of the Baltimore Museum of Art. Baltimore: Baltimore Museum of Art, 1987, page 155. Kirtley, Alexandra A., A New Suspect: Baltimore Cabinetmaker Edward Priestly. Beckerdite, Luke, ed. American Furniture 2000. Milwaukee, WI: Chipstone Foundation, 2000, pages 100-151. Weidman, Gregory R., and Jennifer F. Goldsborough. Classical Maryland, 1815-1845. Baltimore: Maryland Historical Society, 1993, page 118. Weidman, Gregory R., Furniture in Maryland, 1740-1940. Baltimore: Maryland Historical Society, 1984, page 159.